I love croissants. I ate them for breakfast every morning when I was growing up in France. My Mum would wake up before everyone else and pop them into the oven so that the rich smell of butter and pastry would fill our noses as we woke up and dressed for school. We ate them hot, crispy and with a cup of black coffee (once we were old enough). Now in Melbourne, it’s amazing how many places sell croissants but how far they all are from tasting like the ones I ate as a boy. For the most part, I find them too sweet, too dense and too soft. 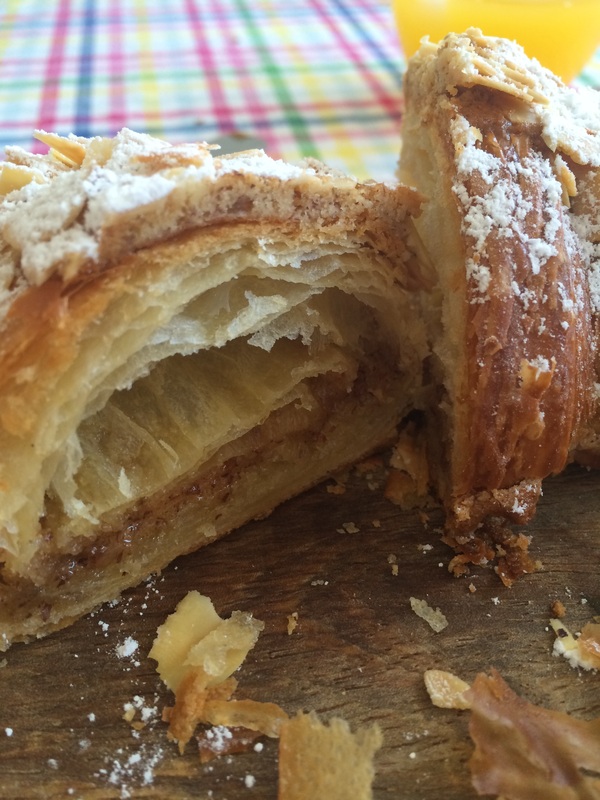 You can imagine my skepticism then when Mrs. Fermier started raving to me about this little hole-in-the-wall croissant shop in the seaside Melbourne suburb of Elwood. She’d waited 1 hour in line and bought the last too croissants (they sell out every single day they are open). In a word, they tasted like “home”. As it turns out the master behind these edible little crescents is an Aussie-born but French-trained pattisière, named Kate. I had the pleasure of chatting to her one morning, and I learned that she even imports some ingredients from France to get the taste and texture of her vienoisseries just right. It’s no surprise that with such a dedication to quality ingredients and a clearly wonderful talent, every piece from Lune Croissanterie tastes like the real deal. It’s not just the basics that Lune nails. 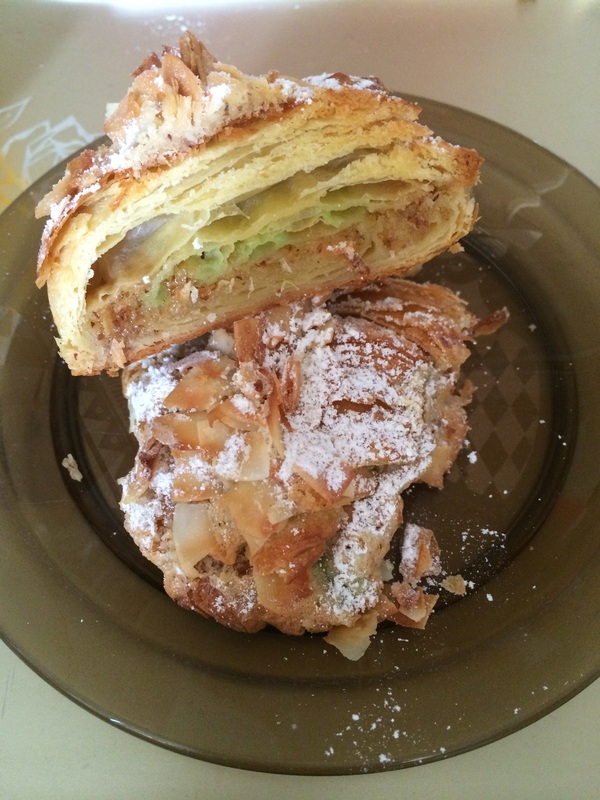 There’s a wide repertoire available including pain au chocolat, ham & gruyere croissants, specialties like Kouign-Amann (a Breton pastry pronounced “Ku-in A-mun”),“cruffins” (a mélange of muffin and croissant), and la pièce de la résistance, the “twice-baked”. Traditionally in France, left over croissants from the day before are filled with all manner of delicious things and then baked again. The Lune versions are only available on the weekend, sell out in a flash and come in ever-changing, mouth-watering varieties like Almond, Turkish delight and banana split! If you’re thinking about indulging in one of these baked pieces of heaven (as well you should be! ), don’t even think about sleeping in and wandering down at about 10am on a Saturday. You’ll need to be waiting in line from at least 6:30am if you want your pick of the menu, but thankfully the amazing Lune team is busily making coffees for patient customers so there’s something to keep you going until they open. Now, it’s not just the cheese that matters on a cheese platter. What you eat your cheese with is equally important. A good quality crusty loaf of bread is a must and a touch of sweetness like a fig or quince paste can really enhance the flavour. I’ve combined the two in this delicious fig and walnut bread recipe that you can easily make at home and impress your guests with. Preheat the oven to 200 degrees on fan force. Mix the yeast with a little bit of water, just enough to dilute it. Put all the dry ingredients into a big mixing bowl and give it a stir before you add the yeast. You don’t want the yeast to be in direct contact with the salt, as it would “kill” it. Roughly chop the walnuts, figs and apricots (if you are including them) and keep aside. Add the yeast to the dry ingredients then add the water. Knead the dough well for about 5 minutes, by hand or using an electric mixer with a hook attachment. Put the dough on a lightly floured bench, spread it a little bit and arrange the nuts and dried fruits in the middle. Knead well for a further 5 minutes by hand to make sure the garnish is evenly spread. Put the dough back in the mixing bowl and cover with a tea towel. Leave to proof until it doubles in size, then knock it back down with your fists (as if you’re punching it). Portion the dough in 300g balls and using the palm of your hands, form an oblong shape, kind of like a big Baguette. Cover the bread with a towel and leave to proof until nearly double in size. Bake the bread until golden and crunchy around the outside (about 15 minutes). To know when it’s ready, gently knock on the bottom of the loaf and if it sounds hollow, then it’s ready. 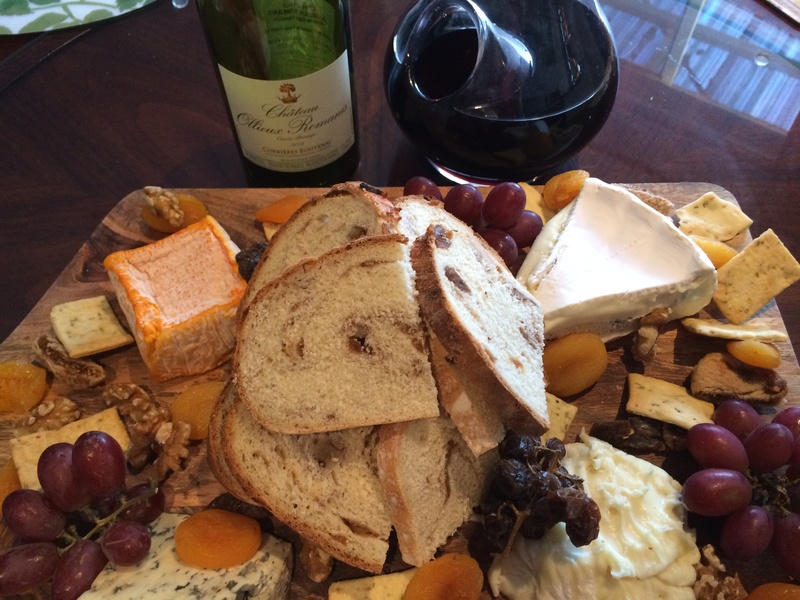 With this amazing cheese platter I recommend a Chateau “ Ollieux Romanis” Corbiere red available from www.airoldifinewines.com.au . 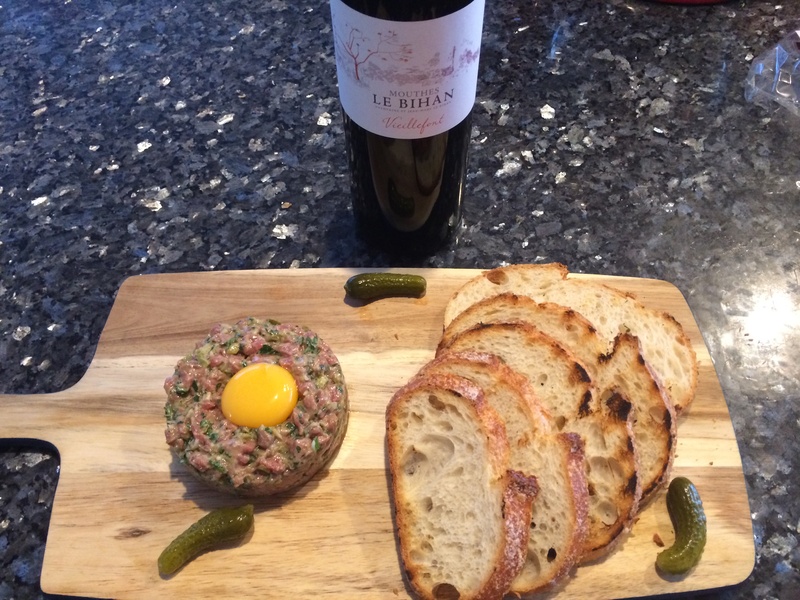 Steak tartare is a dish of culinary legend as it was originally thought to have come about from the tenderised pieces of meat that Tartar horsemen would carry under their saddles. In actual fact this was to help heal their horses saddle sores and definitely not to consume (ew!). More accurately, the dish evolved from raw and cooked minced meats brought to Europe by eastern Europeans. At the end of the 19th century anything served with tartare sauce was known as “à la tartare” and somehow this really stuck with steak. The dish served most popularly as we know today with a raw egg on top, became fashionable in the 1950’s and is now a staple at most French cafés and bistros. Some say this dish isn’t for the faint hearted, but I disagree! 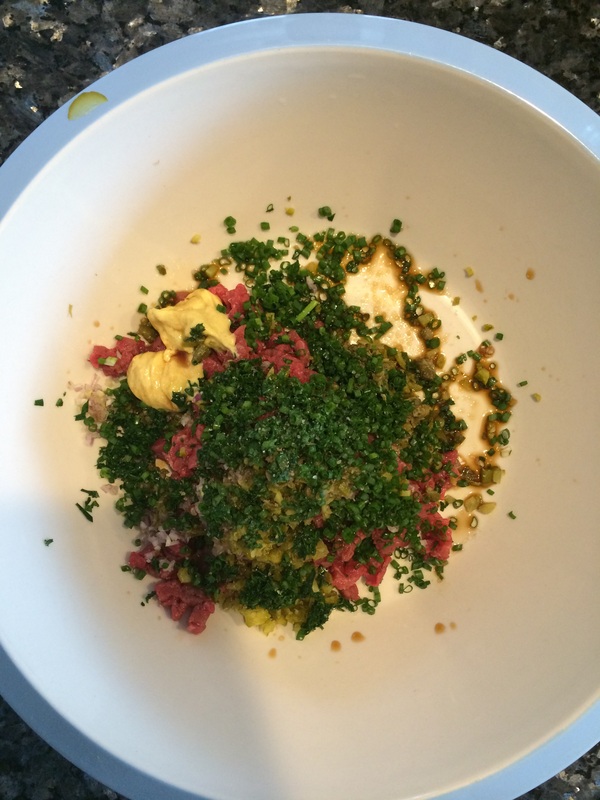 If you can put aside your judgments on raw meat and let your taste buds guide you, most people would be surprised at how tasty steak tartare actually is! Finely chop the meat with a sharp knife or if you have a mincer, put it through that, or the easiest option is to ask your butcher to mince a quality piece of meat fresh for you. Finely chop the shallots, capers, cornichons, chive and parsley. Heat up a grill pan on a high heat. Cut little slices of the baguette, brush them with olive oil and season them with salt and pepper. Grill them on both sides until golden and crunchy. 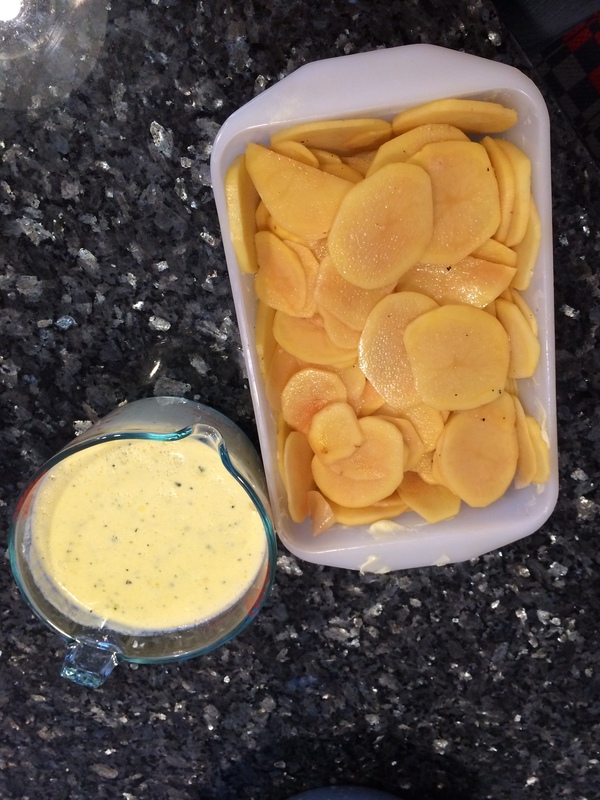 In a mixing bowl add all the ingredients except the Tabasco, egg yolk and lemon juice. Mix well then add the lemon juice and Tabasco to taste, you want it to have a bit of a kick but not over power it. On a plate, using a pastry cutter form the mince into a round shape with a hole in the middle big enough to contain the yolk. Gently put the yolk in the middle and serve with the croutons. Spices have been used by man since our earliest civilisations. Not only as medicine or to flavour and preserve food, spices were so highly valued that certain ones, such as pepper, were used as currency. Traded first throughout Asia, India and the Middle East by sea and land on exotic trade routes, it’s suggested spices found their way to Europe by way of the crusades. They were soon traded extensively and gave rise a number of Dutch and English trading companies in the East and West Indies. a mix of tumeric, paprika, garlic, onions, cloves, thyme, cinnamon, cardamom, soumack, ginger, black pepper. It has been claimed that meringue was invented in the Swiss village of Meiringen and improved by an Italian chef named Gasparini in the 18th century. However this claim is contested; the Oxford English Dictionary states that the French word is of unknown origin. It is sure nevertheless that the name meringue for this confection first appeared in print in François Massialot’s cookbook of 1692. The word meringue first appeared in English in 1706 in an English translation of Massialot’s book. Two considerably earlier seventeenth-century English manuscript books of recipes give instructions for confections that are recognizable as meringue, though called “white biskit bread” in the book of recipes started in 1604 by Lady Elinor Fettiplace of Appleton in Berkshire (now in Oxfordshire), and called “pets” in the manuscript of collected recipes written by Lady Rachel Fane of Knole, Kent. Slowly baked meringues are still referred to as “pets” (meaning farts in French) in the Loire region of France due to their light and fluffy texture. Method : Separate your egg whites carefully, be careful not to put any yolk in it. Place your egg white into the mixer bowl, add the cream of tartare and start whisking on medium speed for a couple of minutes. Once your egg whites reach soft peak, slowly add the sugar little by little. Once the egg whites hold its peak, the meringue is ready.Line a flat baking tray with baking paper and spoon the meringue on to the tray in a round shape. 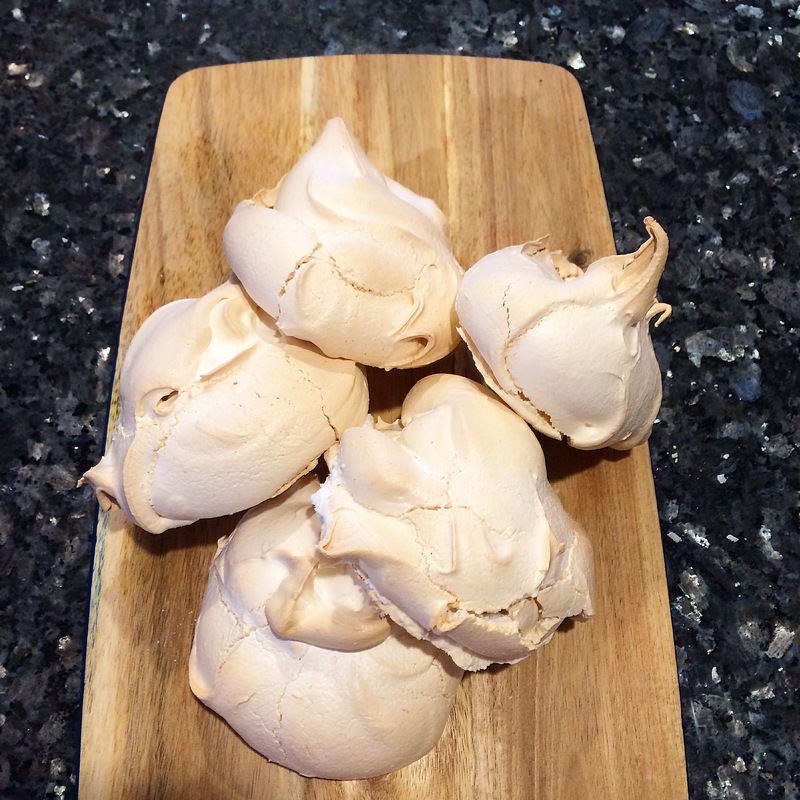 For a meringue approximately 10 centimetres, bake it at 150 degrees Celsius for about 45 minutes oven on, then turn the oven off leaving the meringue inside until the oven has cooled down. Take the meringue out of the oven. They should be crunchy on the outside and chewy on the inside. Serving suggestion: You can enjoy your meringue with a cup of coffee or tea, or even with a little bit of jam or just as is. 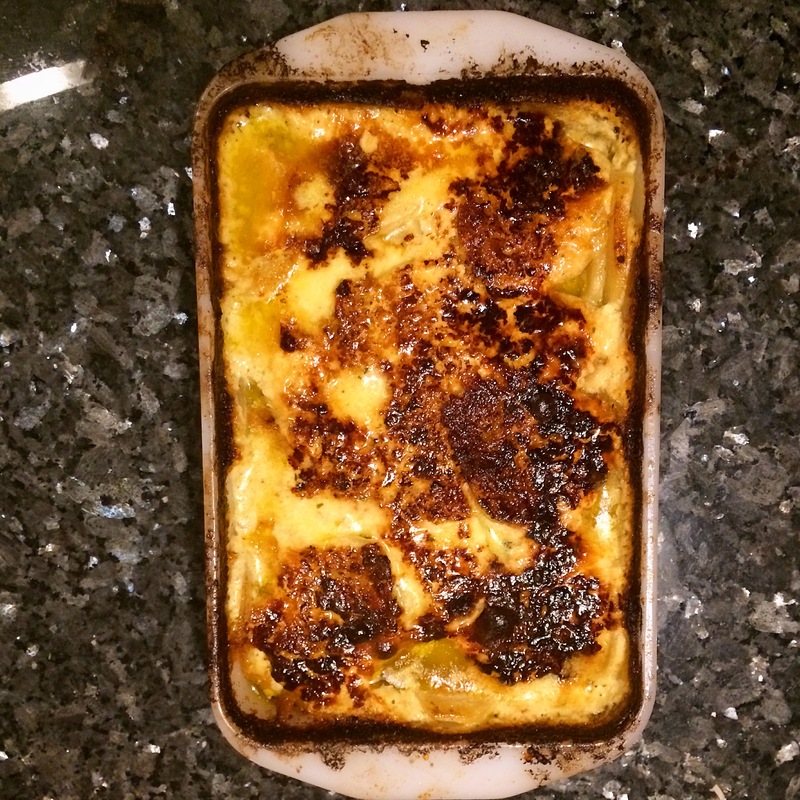 Gratin dauphinois is a traditional regional French dish based on potatoes and crème fraîche, from the historic Dauphiné region in south-east France. There are many variants of the name of the dish, including pommes de terre dauphinoise, potatoes à la dauphinoise and gratin de pommes à ladauphinoise.The first mention of the dish is from 12 July 1788. It was served with ortolans at a dinner given by Charles-Henri, duke of Clermont-Tonnerre and Lieutenant-general of the Dauphiné, for the municipal officials of the town of Gap, now in the département of Hautes-Alpes. Method: Preheat oven at 200 degrees Celsius (392 F). Thinly slice the potatoes (about a coin thickness) and season well with salt and pepper. Boil the cream, milk, butter and crushed garlic together, then add your chopped thyme to it. Rub the soft butter all over you deep baking dish, then start layering the potatoes in the dish, it should be about ¾ full. Pour the cream mix over the top of your potatoes, and sprinkle the parmesan cheese over the top of your potatoes. Cover with foil and cook the gratin in the hot oven for about 1 hour and 15 minutes. 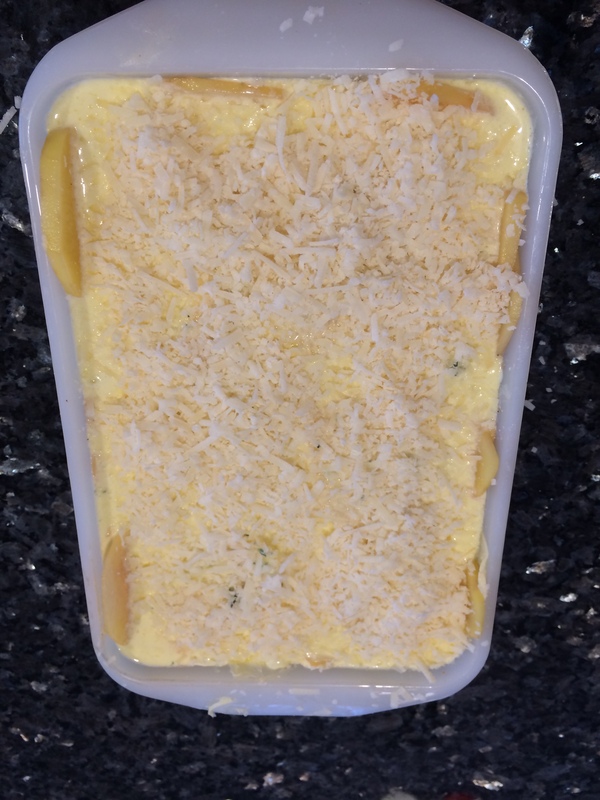 About half way through the cooking, take the foil off and put the gratin back in the oven for the last half of the cooking.To check if your gratin is cooked, simply put a small knife through the potatoes, if it goes in easily then your potatoes are cooked. Gratin dauphinois is the perfect winter dish, rich and creamy it will warm you up and satisfy your appetite. It is the perfect side dish for a roast chicken or a roast beef for example or even just with a green salad on the side for lunch and a glass of red wine!!! !